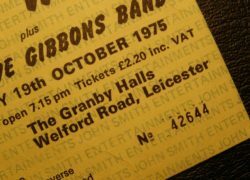 Item description: The Who ticket from the 19th October 1975 concert held at The Granby Halls, Leicester. 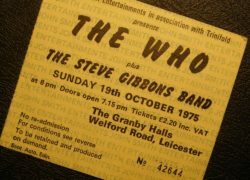 The Who were supported by The Steve Gibbons Band. Large card ticket in off white with background light blue printing and black over printing. 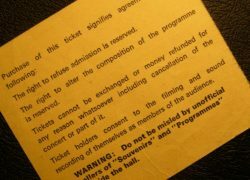 Conditions to the reverse. Condition report: Overall excellent condition with light use only.